Spring is very much in the air and thoughts are turning to long days outdoors and even summer holidays. But have you thought about how you can make sure your home is as secure as possible when you’re not there? Check your fences, walls and shrubbery looking for possible hiding areas or easy ways of gaining entry. Low boundaries at the front of your property give maximum visibility, but high walls or fences of approximately 1.8m provide good security at the rear. Any side entrances should be secured with lockable gates. Do you have a garage or shed? Have you filled either with expensive tools which are not only valuable in their own right, but can also be used to help a criminal break into your home? Make sure you fit strong padlocks and hardware to your garage or shed doors and lock your ladders away! Don’t forget to check that your door and window frames and locks are secure and in good condition and ensure that valuables are not visible from the outside. Lighting is also a great way of deterring burglars – motion sensitive lights outside can be effective, as can time switches on your indoor lights to ensure your home is lit when it should be. Opportunist burglars tend to avoid houses with an intruder alarm fitted but another way to deter burglars and provide evidence should a crime take place is a home surveillance solution. These are more cost-effective than ever and incredibly simple to set up. With D-Link’s mydlink™ solutions you can even view the camera feed via an app on your smartphone or tablet when you’re not there….and our cameras can alert you to any movement they detect – so you can instantly log on to your mydlink app to check everything’s ok…and if it’s not, you’ll have the evidence to report any intruders to the police. Depending on the model you choose, our cameras can either store the footage locally on an SD card, or can send the footage back to be stored on your home storage device, along with your music, files and photos. Although, if you want a storage system that is optimised to work with surveillance footage from D-Link cameras, a Network Video Recorder (NVR) is the way to go. NVRs can record video simultaneously from multiple network cameras without needing a PC. With mydlink™ technology, D-Link’s NVRs can be accessed remotely via a web browser from any computer connected to the Internet, just by logging into your mydlink™ account. Once connected, you can watch live video from any of your cameras, or playback recorded footage with the intuitive on-screen controls. We have cameras at all price points, that can be set up indoors and outdoors, and many are even able to capture clear footage at night. So, you’ll know instantly if it was just the foxes in the bins, or an issue where you need to call the police. 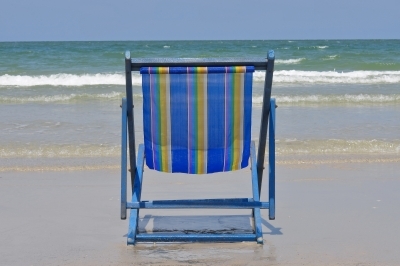 Keep these tips in mind before you leave for your holidays. Go and relax and enjoy that well-deserved break and leave the security of your home with D-Link’s home surveillance solutions. Peace of mind, no matter where you are. A great way of getting new businesses off the ground as quickly as possible, serviced offices often have strict rules when it comes to cabling. Indeed one I visited recently didn’t allow any changes at all, so the company leasing the space had arranged all their desks in circle with a network switch, servers, shared printers and a tangle of wires in the middle! Even when changes are allowed, the need to re-organise and move offices as companies grow tends to discourage investment in cabling infrastructure leading to all kinds of ad-hoc solutions. Which kind of begs the question – how can the average small business take advantage of what the latest technology has to offer without trailing leads here, there and everywhere? When it comes to networking the obvious answer has to be WiFi, but you can’t connect everything that way and bandwidth is still limited, even with the introduction of Wireless AC. Neither is it possible to deliver power over the air. But you can direct it over the same cables used to carry data and it’s worth looking at what Power over Ethernet (PoE) has to offer as you may be surprised at how this technology has evolved in the last few years. If you haven’t looked at PoE for a while you may be forgiven for being sceptical, as initial implementations based on the IEEE 802.3af specification weren’t that great. Able to deliver just 15.4 Watts of power to network devices using spare wires in UTP data cables, 802.3af could be used to power fixed IP cameras, simple desktop IP phones or basic wireless access points, but little else. More than that, compatible devices were few and far between and adding PoE to the network itself problematic. Most early deployments required standalone PoE midspans to be added to inject power into the wires, costly black box devices which had to be installed somewhere between the switch and its client devices. The release of switches with PoE capability built-in soon did away with that requirement and, at the same time, reduces hardware and installation cost. However, to further minimise those costs low power budgets were often imposed which limited the number of simultaneous powered ports they could handle. Fortunately things have changed since then, starting with the introduction of a more powerful IEEE 802.3at standard (PoE Plus) which allows up to 30 Watts to be delivered over a single network cable. An effective doubling of what can be handled, that’s enough to power PTZ (Pan/Tilt/Zoom) cameras, for example, video phones and advanced dual-band wireless access points. Some implementations even allow remote network switches to be powered via PoE. The tally of compatible devices has also risen and power budgets on PoE switches increased with, in many cases, the ability to deliver the full amount of power, as defined by PoE standards, to every cabled port. 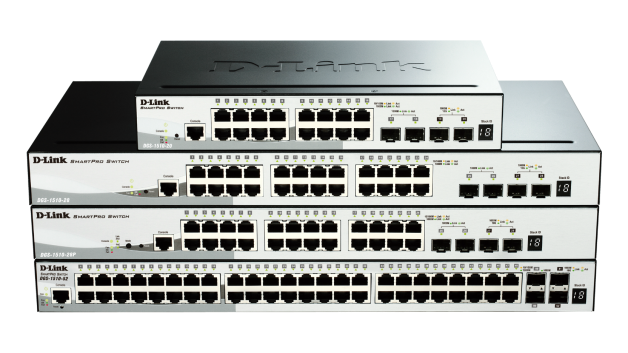 Moreover, switch vendors like D-Link have incorporated sophisticated tools to manage and share the available power budget to insure that every device can get what it needs and even turn it off completely when not required. All of which is good news for the small business in serviced or temporary accommodation, enabling them to minimise the number of extension leads and adapters needed to power devices around their offices. Of course you still need data cabling, but a lot of serviced offices come flood-wired which helps, plus it’s a lot easier to tack UTP wires onto skirting boards and route them through ceiling voids than have new AC points added. It’s also a lot less expensive and, in a lot of cases, you can take it with you when you move. PoE may not be the answer in every case but it works for many and certainly helped reduce the cable sprawl in the office I visited, and spread out that circle of desks.